Concrete Driveway Pavers Materials - Tile Tech Inc. Concrete driveway pavers are slowly toppling asphalt pavers in a variety of ways. Driveway pavers are both durable and flexible, allowing them to be the popular choice among homeowners and home improvement professionals. There are three main types on concrete driveway pavers, based on the type of material used to manufacture them. These are: concrete pavers, brick pavers and stone pavers. Concrete pavers are made from cement and aggregates that are mixed at certain proportions to achieve the desired strength. An impression of a stone paved driveway can be achieved, using concrete concrete driveway pavers, at a lower cost. There are other benefits from using concrete pavers. Concrete driveway pavers are installed by piece and have flexible joints that allow expansion or contraction when the weather conditions change. This feature prevents cracking, which frequently occurs for concrete slabs. Concrete pavers can also be customized using different shapes of moulds and by application of different shades of powdered tint or liquid stains. Brick pavers are typically made from clay. These materials recreate the feel of traditional roads that are common in the middle ages. Bricks are also natural materials that perfectly integrate with the outdoor natural environment. Concrete driveway pavers made from bricks can withstand heavy loads. This quality makes it suitable for driveway applications since it is frequently subjected to varying loads. Brick pavers have non-slip surfaces, ensuring less skidding of vehicles. This ensures the safety of pedestrians traversing along the driveway. Brick pavers maintain their colors for a longer period of time since they are made natural clay. Natural stone pavers are concrete driveway pavers made from natural stone such as granite, shale, and limestone. The raw materials for these pavers are rocks that are quarried, then cut and polished before delivery to the store and finally to the customer. Compared to bricks and concrete pavers, natural stone pavers are more expensive primarily due to the processes involved in the extraction and polishing of the raw material. Rocks are also depleted easily with increasing demand. Also, a significant time is required for the natural forces to replace used up stones. In choosing the right paver materials, durability and flexibility in terms of designs are also important factors aside from the aesthetic appeal. Extending the life of pavers begins with observing proper installation procedures. Conducting maintenance activities consistently also play an important role in preserving the integrity of your driveway pavers. When installed correctly, driveway pavers have joints that can expand and contract when the ground freezes, and also withstand the high heat of summer, all virtually maintenance free. The climate and type of soil under the base determines the thickness of the base. Cold regions with fine clay or silt require a thicker base than well-drained soil in a warm climate. Use crushed rock for the base material, it is the same material often used as base under roads. Pavers come in a variety of material compositions and colors, and what you do with them is limited only by your imagination. When installed and maintained correctly, concrete pavers last up to 20 years for driveway applications, whereas stone and brick drives can last well beyond 25 years. 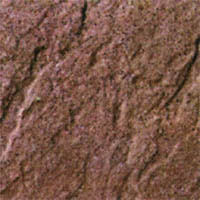 Driveway pavers are available in three basic material compositions. First, is concrete pavers, they are manufactured of concrete and an aggregate of materials. Concrete pavers give the impression of a stone driveway at a lower cost. Secondly, there are brick pavers, they are made from clay and shale materials and cost slightly more than concrete pavers due to their higher material cost and manufacturing process. Thirdly, the most expensive option is natural pavers, such as driveway pavers and sandstone pavers, these are quarried as pieces of natural rock and then cut into paver shapes. Natural stone pavers are more difficult to install yet they have a classical appearance.